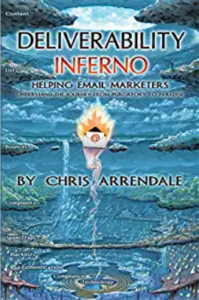 Over the last week there has been a lot of noise about Gmail and third parties reading your email, a ton of articles can now be found discussing this issue like; Slate, Mediapost twice, Newsweek, The Registrar and the site that broke the news the Wall Street Journal (paywall). 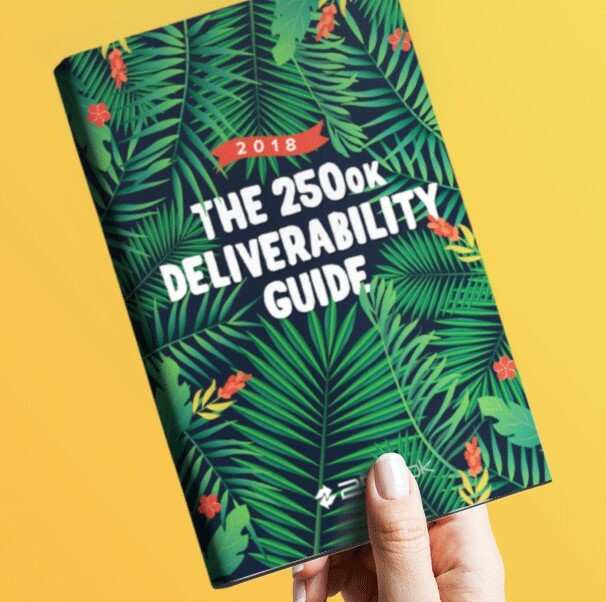 This list goes on and on from here. 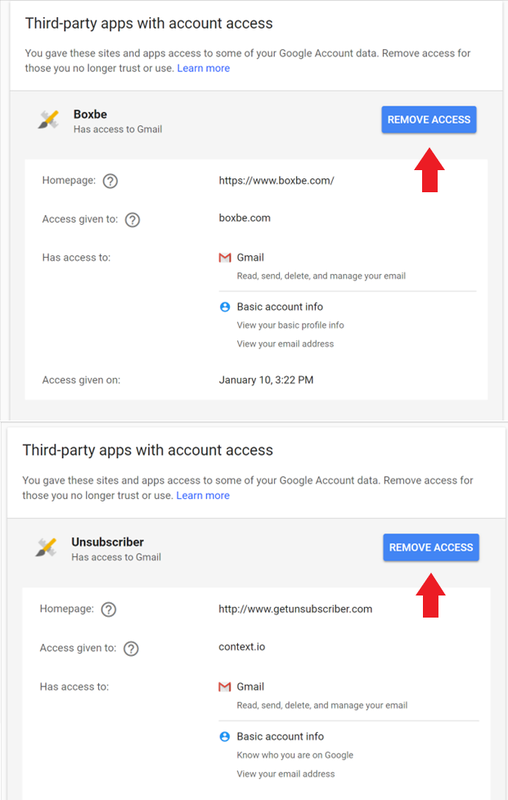 There are also a number of searches for people looking to unsubscribe or ‘disconnect’ these types of services from their mailboxes. 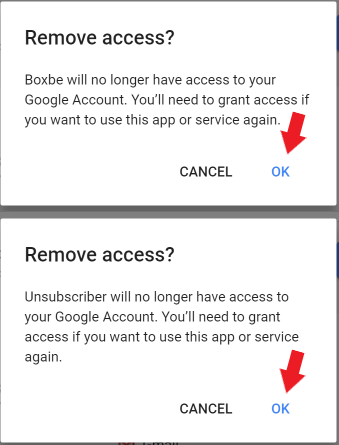 Two of the most frequently noted in these articles are products called Boxbe and Unsubscriber, the following tutorial will show you how to disconnect these services from your Gmail account. 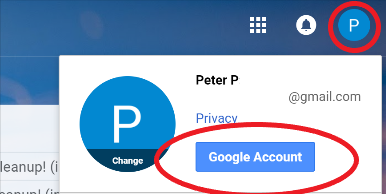 After logging into your Gmail find the ‘Google Account’ option in the top right corner – this will look like your initial or possibly a picture you have associated with your account. This will direct you to your Google account manage tools. 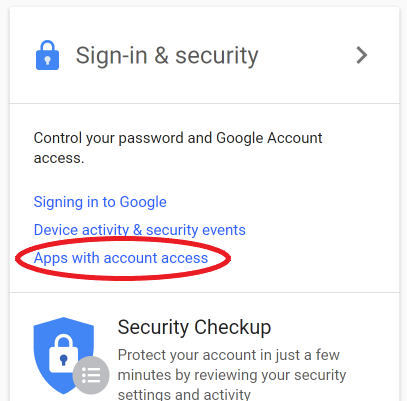 From here you can do a number of things like change your password, enable Two Factor Authentication (highly recommended) or look at the list of ‘Apps with Account Access’ (click this). At this point you’ll see a list of services that have access to your account or parts of your account. Click on “Manage your Account” to proceed to the next step. 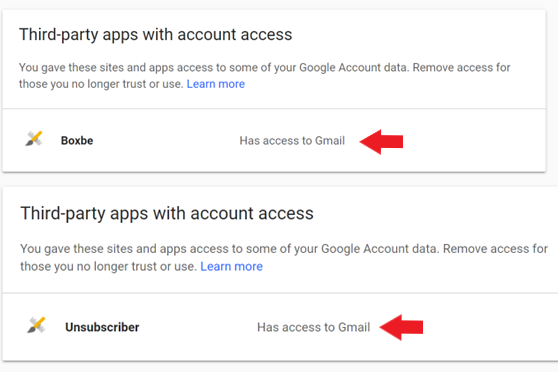 Now you will see a little more detail on what type of access these services have with relation to your Google Account. Click on the name of the service you want to review. You should have an expanded window in front of you showing what the service accesses, where the services home page is and what it has given access to. To stop allowing access to this service click the “REMOVE ACCESS” button for each of the services. You may need to repeat the above steps for each service you want to disable. After clicking remove you’ll get asked to confirm your desire to remove access to your account for each of the services. And then you’re all done. You’ve successfully disconnected these services from accessing your inbox. Note that this will also stop the service from functioning further for you… so if you’re dependant on the functionality of this service you need to take a few minutes to weight the privacy implications of remaining connected to these services.